A custom made retirement gift depicting a building that is instantly recognizable to the recipient, and a personalized message to mark the occasion. Size: 14″x20″. 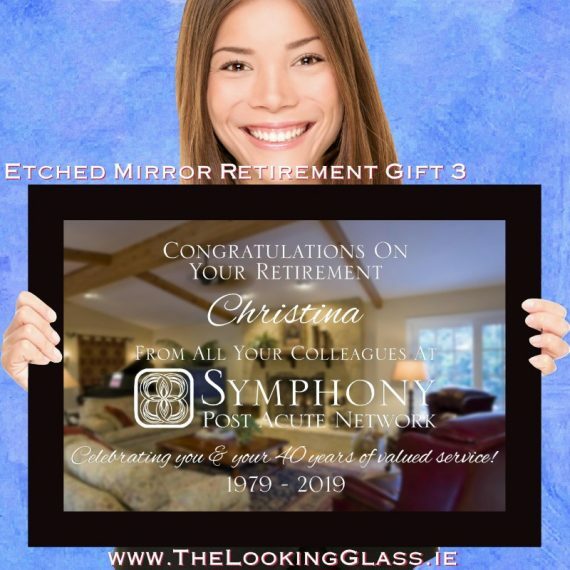 To commemorate the retirement of a work colleague, its a nice idea to present them with a gift that is not only personalized, but that will also bring back memories of beloved surroundings in the years to come. 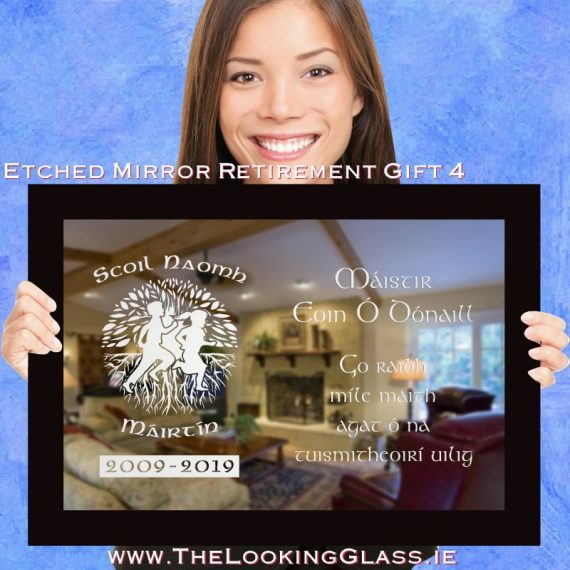 With this in mind, we have included in our catalogue this mirror gift which includes your personalised message to the recipient and an engraving of their old surroundings. Simply upload the photo you'd like us to etch with your order and we'll email you a proof for your approval before we engrave your gift. 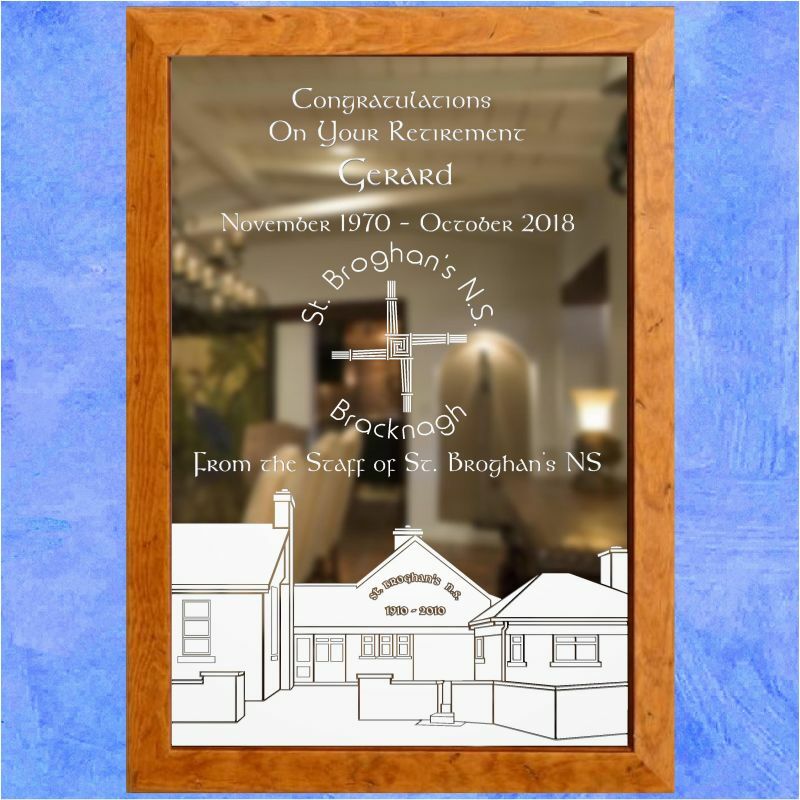 *We find that a 'front-on' photo of the building works best for this gift! 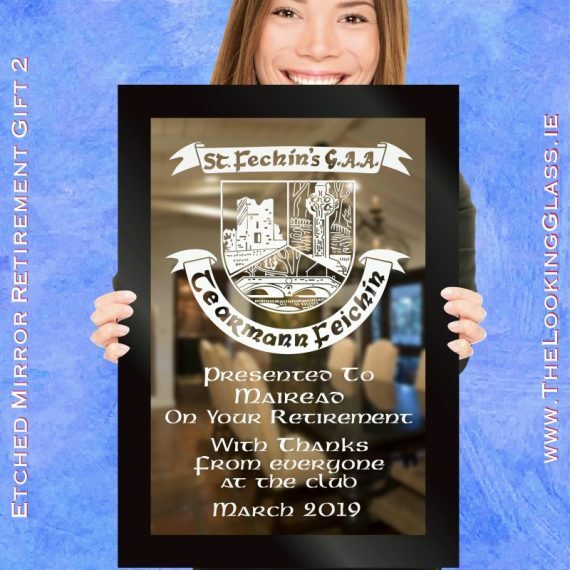 Your distinctive club crest is the centrepiece for this retirment gift and with your personalised message added, is ready to present to the special retiree. 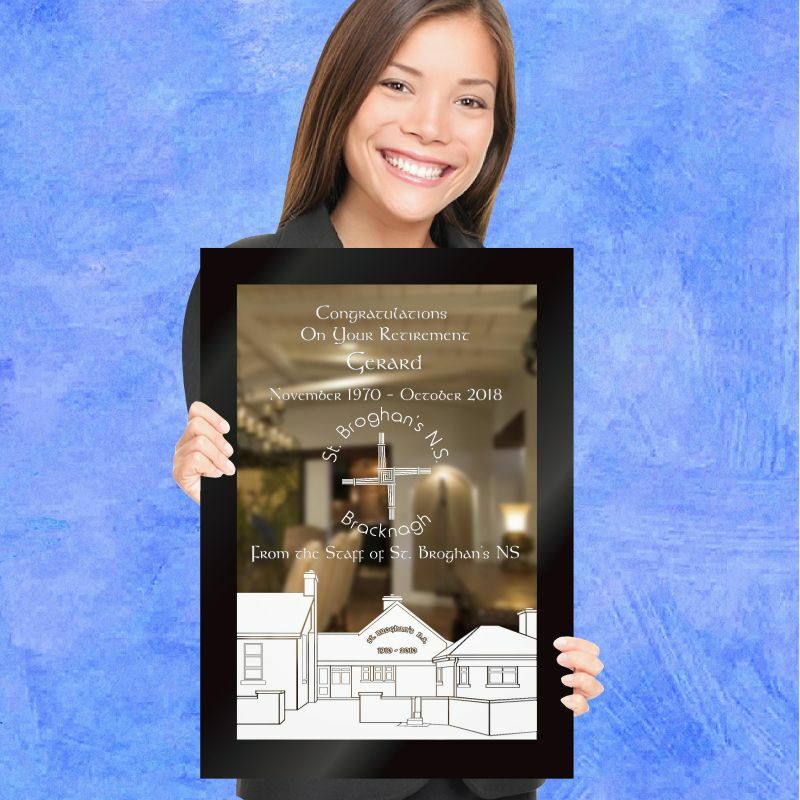 Size: 20"x14"
Add your logo, crest or badge to your heartfelt verse to create a departing gift you will be proud to present! 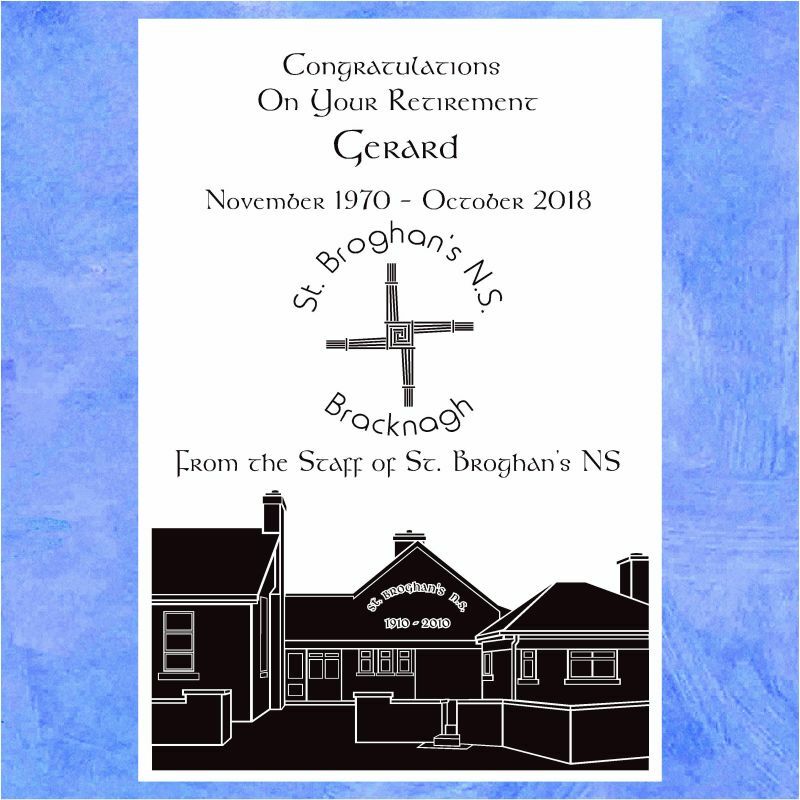 Size: 20"x14"
Add your school logo or crest to your personalised verse & create a stunning retirement gift you will be proud to present! 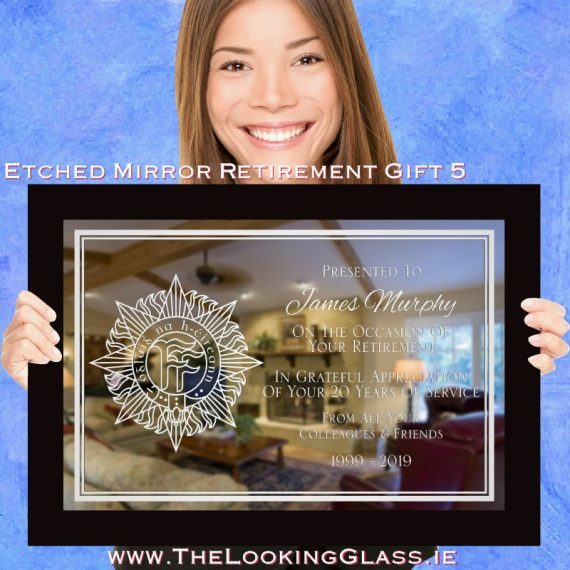 Size: 20"x14"
Add your company business logo to your heartfelt verse to create a retirement gift you will be proud to present! Size: 20"x14"